The action will be taking place on Saturday May 25th 2019. The venue for this charity event will be the all-weather pitch at Scariff GAA Club. There will be a maximum of ten teams, so places are limited – apply early to avoid missing out. The teams will be divided into two leagues. In the first stage the teams will play the other teams in their league. Matches will last approximately 15 or 20 minutes (depending on the number of teams in the group). The top two teams in each league will qualify for the knockout stage, which will consist of two semi finals and a final. The winning team will be presented with the Iniscealtra Community Cup - which is to have their team name engraved upon it, and which they can display in a public venue of their choice for a year. A full set of rules will be posted on this website at a later date, with all the details of teams and groups. If you would like to enter a team then contact Phil on 087 2368777. Iniscealtra Community Cup 2018 - Polonia Take the Title! New Champions Win the Cup! 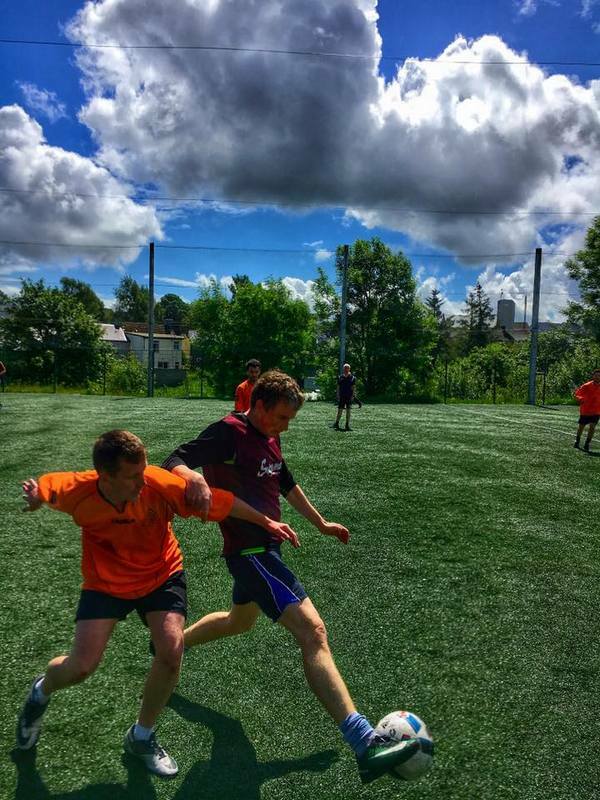 Previous: Iniscealtra Community Cup 2018 – Polonia Take the Title! What is Mixed Bag United? Mixed Bag United is a football club in East Clare, Ireland. We get together to play football for fun every Monday evening all year round. A diversity of members is encouraged, with people young and old, male and female, from various cultural backgrounds playing together. Iniscealtra Community Cup 2018 – Polonia Take the Title! Bantasaurus Make it Two in a Row!